"You will simply be surprised to learn what happens around you. And in the Giro it is much less. I get a lot of energy from the way people love cycling there. " 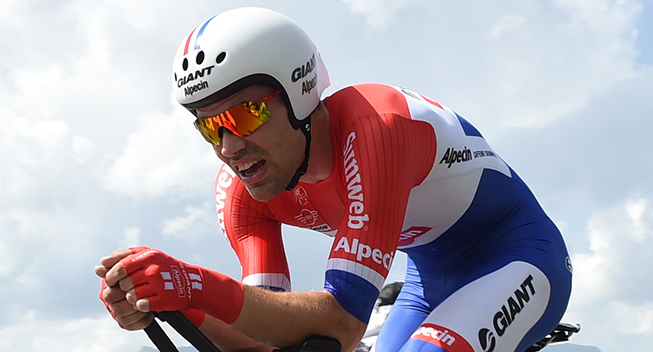 Tom Dumoulin has finally announced that he will target the Giro d'Italia in 2017. "But the appeal of the Tour de France was very big ," he admits in an interview with Wielerglits. Dumoulin's choice of the Giro is remarkable. Although there are more time trial kilometers, the race is also loaded with big climns. "But there are actually not many uphill finishes in the Tour," he admits. Nonetheless, he chooses the Giro. "The Tour is really big, you know. It takes a lot out of you. I have done it four times and not in a GC role. Even then it does something to you. You will simply be surprised to learn what happens around you. And in the Giro it is much less. I get a lot of energy from the way people love cycling there. "